I always say, “A quick trip to California is better than no trip to California.” Last week, when we were in L.A. for a special birthday celebration, I had a couple of hours on my own and chose to spend them at one of my favorite places along the Pacific coast – Seal Beach. The “Mom and Pops” that line Main Street bring me back to this slice of paradise every time I visit the area. 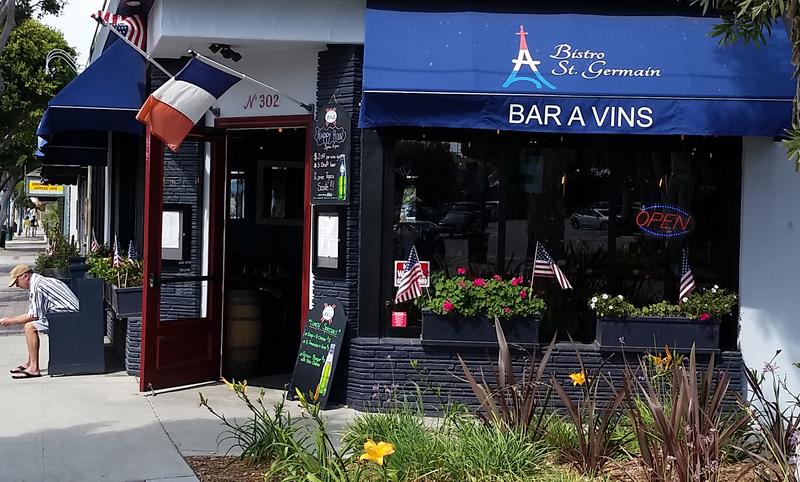 From savoring a sorbet overlooking the pier to enjoying a fresh crepe at Bistro St. Germain, there are culinary delights for everyone, providing just the right amount of fuel to help with the hours I could spend in the boutiques lining quaint avenues. 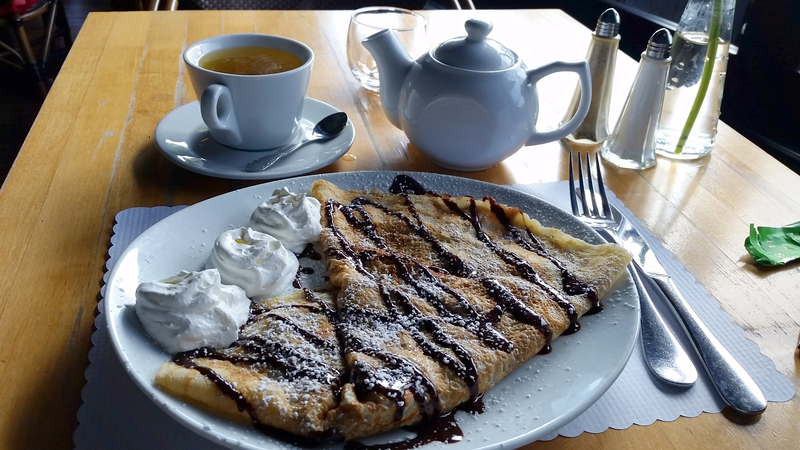 So if you find yourself in SoCal with a few minutes to spare, swing by and discover this gem along the coast…and try the pear and Belgian chocolate crepe while you’re there! 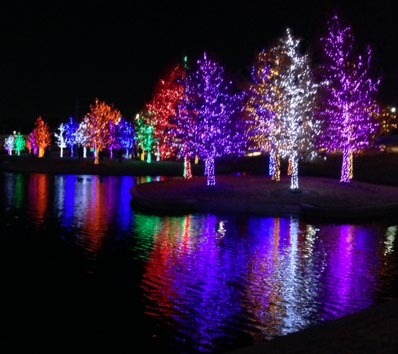 It’s finally back – the chill in the air, the crispness of the night sky, and millions of twinkling lights bringing city parks and neighborhoods to life. Each part of the year is special in its own way, but the Christmas season always holds that extra spark for me. Last weekend, we shared one of our favorite light displays with our nephew who was in town for a bit during Thanksgiving. 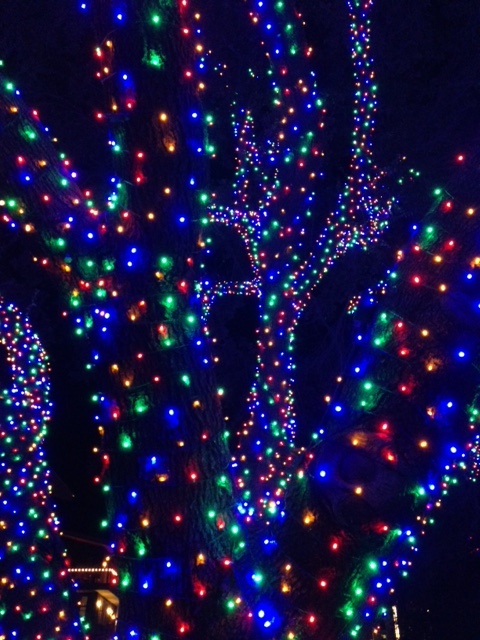 Showing an out-of-towner the sights in your hometown is sometimes a challenge, but during the holidays, Dallas does it up right, offering both natives and wanderers a wonderland of visual delights like no other city can. It never gets old. So wherever you find yourself this holiday season, crawl into the car, grab a mug of hot cocoa with marshmallows (and maybe a candy cane or two), lower the windows, wrap up in warm blankets, breathe in the crisp winter air, and prepare to be dazzled by the lights of the season! I arrived into New York just as the city emerged from its day-long shroud of fog. After a lengthy journey comprised of flight delays, refueling, and diversions, landing at La Guardia finally became a reality as did a malfunction on the subway, resulting in an even later arrival into Times Square. But weather and airline issues aside, it was a wonderful weekend at the Society of Children’s Book Writers and Illustrators Winter Conference. If I had to describe the SCBWI Winter Conference in four words, they would be: Faculty, Friends, Failure (I promise I will explain this one! ), and Future. Faculty: Electrifying keynotes encompassed a vast array of topics, from the locales at which well-known authors choose to work (quite often, the public library) to how they craft their award-winning books. The distinguished faculty enlightened us on a variety of topics from the rising role of self-publishing (and how traditional publishers are interacting with successful self-published authors) to the challenges illustrators face when presented with a new manuscript. Friends: It was a truly a weekend of networking, learning, and inspiration. I reconnected with many wonderful old friends and made more new friends than I could have imagined. One thing that never ceases to amaze me is the openness and willingness of SCBWI authors and illustrators to share their knowledge and help others on their journey to publication. I met many new colleagues who listened eagerly to the challenges I face in my current manuscript and offered options to help me soar over its last few obstinate hurdles. Failure: One of the most memorable keynotes explained “failure” in the most positive light I’ve ever experienced, helping the attendees to understand that it takes practice and persistence to get that manuscript to the place where it can leap successfully into the market. I left with a new mantra: Don’t be afraid to fail, for failure is the seed of success. Future: The weekend also provided an in-depth analysis of our responsibilities as authors to our future readers as well as an update on the challenges many writers are beginning to face with trends in the banning of books. Before leaving the city that never sleeps (much like the participants of an SCBWI conference), we meandered through the stunning architecture of Grand Central Station. The hustle and bustle provides a people-watcher’s paradise, but what I enjoy most about this phenomenal building is peering into the entrances to the train tracks. Where are the steel beasts traveling? Who will descend the Track 110 corridor to join the journey? What new friends will they encounter? What will their future hold? I wish for those travelers the same inspiration and motivation with which I am leaving the city, as well as a few new friends to inspire and enlighten them along the way. On a recent trip to Newport, Rhode Island with my sister to attend the International Tennis Hall of Fame Championships, I discovered there is much more to Newport than vibrant vistas, terrific tennis, and friendly folk. Throughout our trip, we were presented with delicious delicacies at various venues around town. I typically do not take myself for a foodie, but that seems to be changing as the years go by. My sister and I stayed at a historic B&B, The Samuel Durfee House, run by a husband and wife. The husband presented tasty breakfasts daily, but my favorite by far was the Peruvian Sweet Bread French Toast. Having never tasted Peruvian Sweet Bread, we were in for a treat. It is a bread that acquires its distinctive flavor from a touch of anise. The cinnamon never hurts, but the anise definitely gives it its distinctive flavor. With a bit of research, I discovered this bread is traditionally baked in ovens with eucalyptus leaves. Maybe our host added this special touch to make the bread that much more tasty. After having so many wonderful meals over the course of the week, I opted for an appetizer as my meal during our visit to Castle Hill, a beautiful historic structure overlooking the waterways around Newport. Crab cakes definitely rate high on my list of favorite foods, and Newport’s restaurants didn’t let me down. 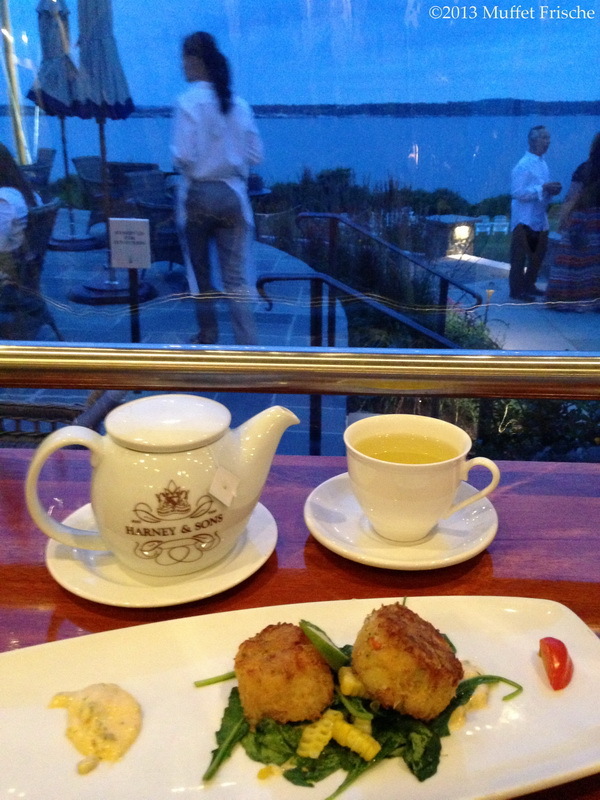 It was unseasonably chilly for July in New England, so a pot of hot tea was the perfect addition to the evening’s meal. 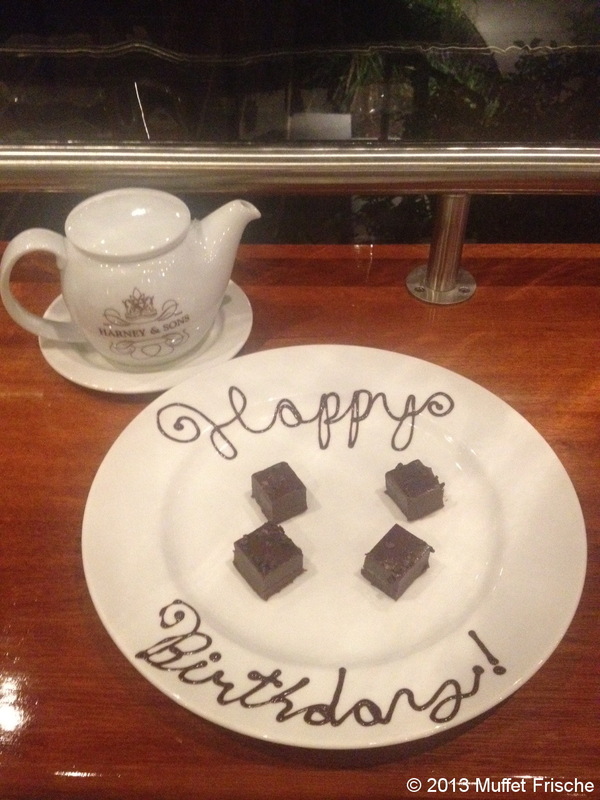 The trip to Newport was in celebration of my sister’s birthday, and after conversing with the manager of Castle Hill, we were surprised ever so pleasantly with his presentation of a taste of their homemade fudge in honor of her big day. Having already indulged in the restaurant’s large portioned Crème Brulee, the fudge was the proverbial “icing on the cake.” If you ever have the opportunity to dine at Castle Hill, be sure to partake in this mouthwatering, delectable treat. You won’t regret it! The day of the finals, we attended a luncheon hosted by Brooks Brothers for the legends of tennis in attendance at the tournament. The cupcakes that graced the table were not only delicious, but perfect décor for the theme of the week. 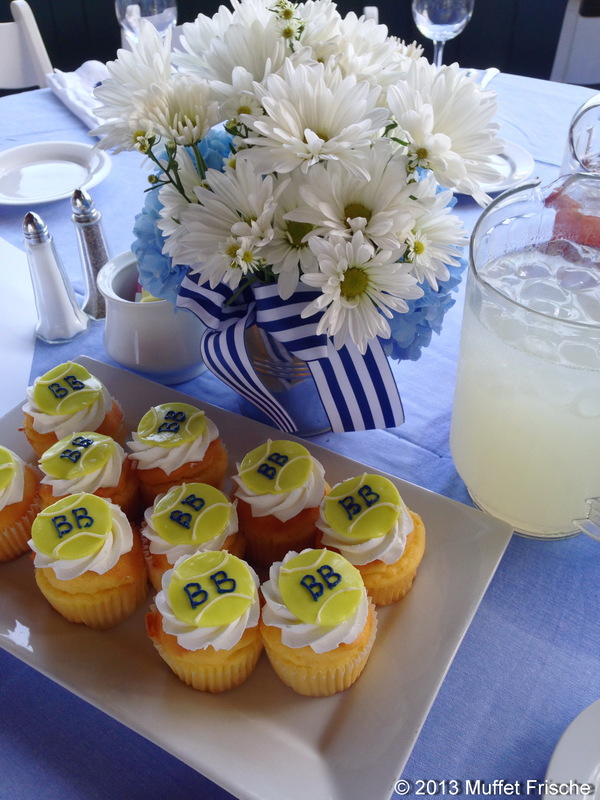 I felt we were transported back to the deep south, with festive daisies, pitchers of sweet lemonade and appropriately decorated tennis-themed cupcakes all arranged atop a tablecloth of blue and white seersucker. So after a week of unsurpassed tennis and fabulous food, this foodie-in-the-making highly recommends making a trip to Newport in July part of any summer travels to New England! This past weekend, we attended “Paw Prints,” a wonderful art festival held at the Dallas Zoo. My friend and illustrator, Cindy, was hosting a booth showcasing her wonderful artwork, and we were excited to attend the event. I have not visited this particular zoo in nearly 15 years, and oh, what a difference 15 years can make. Tortoises were on parade, chimps were hanging out, and koalas were sleeping. But I was in search of the “Giants of the Savanna” habitat. Rumors of it being the first habitat of its kind in North America to allow different animals to live side by side piqued my curiosity. And the Dallas Zoo didn’t let me down. I could have spent the entire day enjoying seeing the elephants, giraffes, zebras, ostriches, and impalas living together, just as they do in the wild. What a fabulous example for other zoos and wildlife parks. Experts worldwide are visiting and studying what Dallas has done in hopes of designing similar habitats at other zoos. The “Giants of the Savanna” provides four acres of roaming room for these wonderful and intelligent animals. I have quite honestly avoided zoos for many years because of having to see animals confined in painfully small areas, and more often than not, alone. But Dallas gives me hope that one day, all the animals in zoos will be with more of their kind, in more natural surroundings, and of course, with more room to roam. On a recent trip to the Twin Cities, amid a late spring snowstorm of which only a Texan could be excited, I happened upon one of the most pleasant discoveries I’ve made in a very long time. Little library houses have appeared along the scenic avenues of St. Paul, Minnesota. Strolling down the street, you can pick up a new read as well as share a book you have enjoyed with others, all for free. My aunt explained that these little libraries were popping up all over the Minneapolis – St. Paul area. What a wonderful way to share the joy of reading! We visited several of these little libraries and found everything from the “Idiot’s Guide to Decoding your Genes” to “The Secret Life of Bees.” Upon returning home, I checked out the website and found there are extensive expansion plans for these little gems. It appears New York City is the next lucky recipient of this innovative idea. Take a peek at www.littlefreelibrary.org to see if they are coming to a street near you! Self-publishing a children’s book requires quite a bit more time and effort from the author than publishing with a traditional publisher. However, it also can allow for a fun, creative collaboration between author, illustrator and programmer. I met my wonderful illustrator and friend, Cindy, through the Society of Children’s Book Writers and Illustrators, commonly known as SCBWI. After submitting to several traditional publishing houses and experiencing first-hand the agony of waiting, and yes, the ever-present stream of rejection letters, I began to see apps and e-books as viable options for getting my work out there for kids to enjoy. Most children’s book apps are well-known classic books by the likes of Dr. Seuss (one of my all-time favorites!) But a void exists in the availability of new, quality storybook apps for kids – stories that are well-written and beautifully illustrated, not just thrown together in order to have something in the App Store. Cindy and I agree that our books must be of the highest quality – the quality that a traditional publisher would accept if they had room in their limited list. Cindy and I have been collaborating for several months now on our first book, and we are very pleased with the quality that is being placed in each word and every illustration. People constantly say “Oh, it’s easy to write a children’s book. 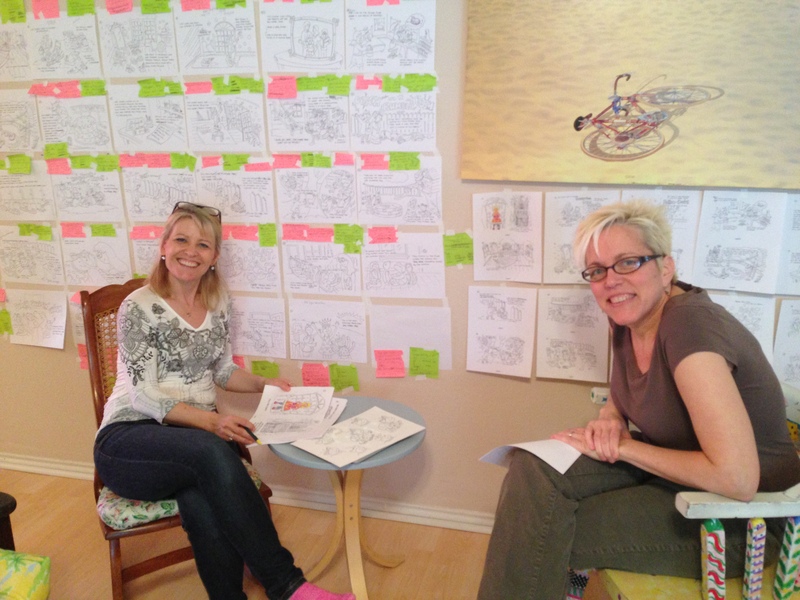 There are so few words.” Well, Lesson 101 in writing children’s books: It’s not easy! It takes an incredible amount of time to revise, revise, and yes, revise again, and to work with each word making sure it earns the right to appear on the page. It takes time to create and discuss storyboards such as our first one shown in the photo above, and to modify subsequent versions. It takes time to create preliminary and final illustrations in media such as watercolor and Photoshop, and it takes time for the programmer (in this case, my talented husband Eric,) to write the code necessary to bring the story to life in app form so that the many moving parts flow seamlessly together for the reader’s enjoyment. Yes, it takes time, but it is worth every minute to create a quality story that will entertain and thrill children for years to come. Over the next few months, I will continue to share the creation and journey of this self-published children’s book app and e-book and hopefully shed a little light on the process along the way! 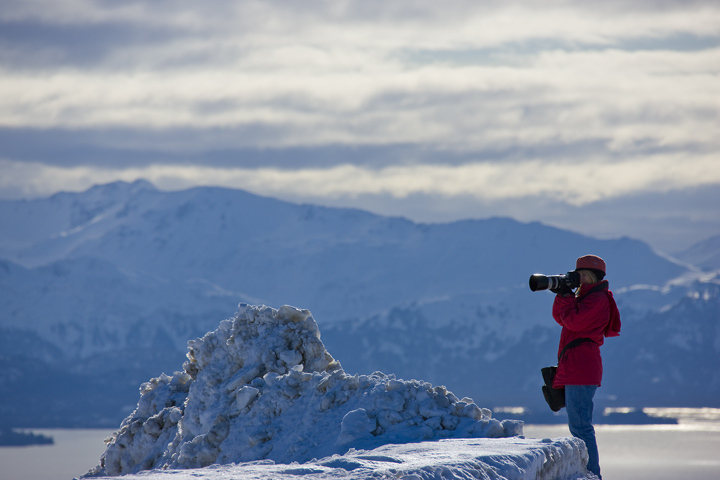 Writing, photography and travel are my passions. I will be sharing with you places off the beaten path as well as right in our backyard. My hope is that you will be inspired to go on adventures, embrace opportunity, discover the beauty of nature, peek around that next corner, have fun, smile, and live each day. When we do, we enrich the world and the lives we have been given. As we follow our bliss and enjoy every moment we have in this incredible life on this beautiful planet we call Earth, we find that the relationships with our families and friends as well as the opportunities we have to explore, learn and live become vital aspects of our life-long journeys. I hope this blog inspires you to see the world around us in a new light, and maybe add a few stamps to your passport along the way!